Home > Divorce > What Is an Annulment in Texas? What Is an Annulment in Texas? In Texas, an annulment is a way of “canceling” or “voiding” a marriage. Whereas a divorce will end a marriage, an annulment is saying the marriage never really happened. Although an annulment may be a viable option for some couples who wish to separate after getting married, not everyone is eligible for an annulment. Here’s what you need to know about Texas annulments. When Can An Annulment Be Granted? In Texas, there is a unique law that allows one spouse to contest the annulment. This means that a jury trial will then take place, and the proceedings will be more similar to a traditional divorce. In this case, it is critical that both parties have adequate legal representation from a Texas annulment attorney. If the jury finds that there are no grounds for an annulment, you will need to go through the process of divorce instead. Even if your marriage fits into one of the circumstances above, there’s a possibility that you may not be granted an annulment if ongoing consent existed. For example, if you and your spouse continue to live together after discovering an issue that could lead to annulment (e.g., impotence, intoxication, bigamy), this could be construed as consenting to the marriage. In these types of situations, a judge may deny your annulment. Although it is possible to obtain an annulment without the assistance of an attorney, this is not necessarily a wise decision. Annulments can often be complex, especially in cases where the grounds for an annulment can be contested. 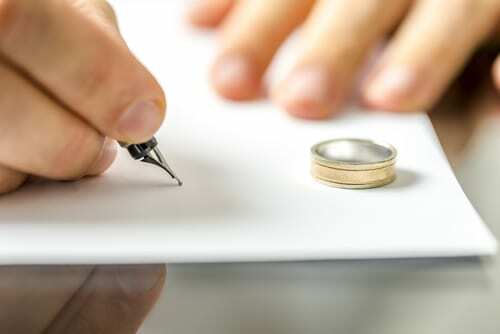 The Bourlon Law Firm has extensive experience working with clients who wish to get an annulment and can provide you with comprehensive legal representation in your case. Contact the Bourlon Law Firm today at (361) 289-6040 to discuss your case in detail and to learn more about the legal options you have available to you. We are ready now to assist you.